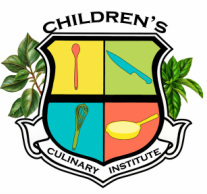 Welcome to Thriving Kids, a branch of Children's Culinary Institute in Mesa, AZ! I'm excited to help little chefs learn important life skills, self reliance, math, science, reading, nutrition, kitchen safety and more all while playing with food! If you are interested in classes, please add your name to my contact list and we will get your little ones cooking! Part of a Home School group? I am looking for host homes to teach at during the day on Wednesdays. A special discount will be given to the host's children for tuition. I am aiming for 6 students per class. Please contact me if you are willing to host in the Mesa area/ East Valley and what time works best for you and your chefs! If you are pre-school age you can benefit from cooking classes in so many ways. Fine Motor skills are developed, Social skills and some basic reminders like "How to wash your hands" and "The oven is Hot" are reinforced at each meeting. Learning to try new foods and a wonderful sense of accomplishment are also part of our goals! $35 plus one time registration fee of $20 to cover apron and recipe notebook. Our curriculum stands out as a nation leader in bringing taste and fun back to learning fundamentals. What's better than fractions when the end result is a tasty treat. Learning health and how and where our food comes from helps us enjoy good choices. Developing new skills, using new tools are all things built into the curriculum. Your kids aren't even aware of all the things they are learning at each class! $40 plus one time registration fee of $20 to cover apron and recipe notebook. When you look at all the extra activities offered, the hands on field trips and the experiences offered make for a well rounded independent home cook. Brilliant Bites: Kids Nutrition Program! Coming soon: A new 6 week program to teach kids aged 5-11 about healthy eating, making good choices about their food, and overall wellness. Nutrition information can be confusing, so we break down the basics in a fun and interactive way to get kids excited about nourishing their bodies. We are going to be nutrition superheroes! More information to follow as the new program develops for this location. Click Here to Learn More About Brilliant Bites!